Ali Yaakub thrilled his home crowd with his dominant performance against Petchumphoi KiatBundit at the Thailand vs Asia: The Best of Malaysia 2012. The Malaysian grabbed only “Asia” win of the night with an impressive display of great cardio, better technique and the quick power kicks from both of his legs. 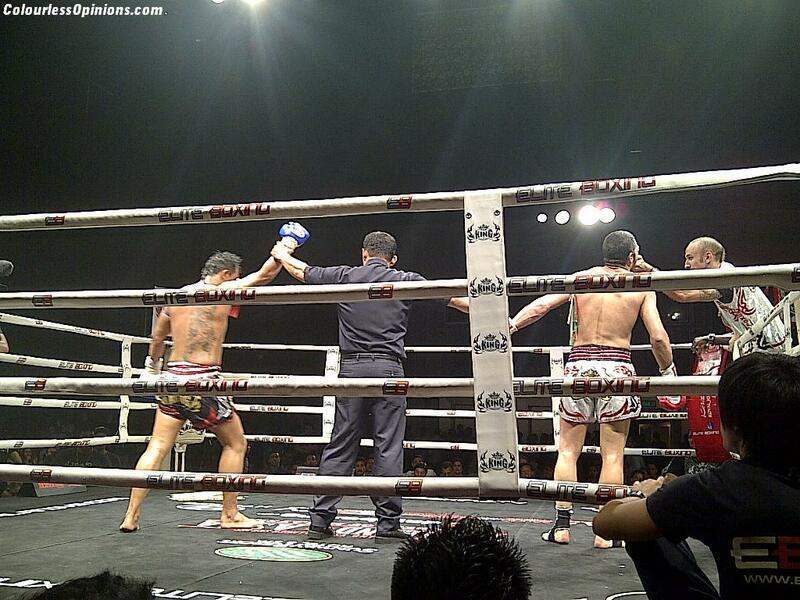 Although the match managed to go all five rounds, his Thai opponent was already battered and exhausted before it ended. Yaakub tested him with leg switches in the fifth round but his opponent didn’t even try to react. The local then gave a shouldn’t-you-stop-this-fight-now stare at the Thai’s corner and was acknowledged but they responded, “Just fight, Ali.” The local hero won by easy judges decision. This Muay Thai event was an instalment of the Thailand vs Challenger Series 2012 held at Sunway Pyramid Convention Centre Malaysia on the 9th of October with some of the best Thai fighters going up against Asian challengers. The other popular Malaysian representative featured was the Contender Asia Qualifier champion, Faizal Ramli, who trained at Dragon Muay Thai Club with Yaakub prior to this event. His fight against Armin Pumpanmuang was the final and the most anticipated fight of the night for the home crowd but the “Golden Elbow” didn’t manage impress. Throughout the fight, he seemed unhappy with the condition of the ring but the truth was that he was careless and was being toyed for all five rounds by his Thai opponent. However, his fans cheered for him all the way and even after the winner of the match was announced, they chanted “Malaysia Boleh” repeatedly. There were also a couple of other entertaining fights that night. The first match-up was Thailand’s Yaya against the Malaysia’s Kudin. Yaya walked into the ring confidently in his pink shorts while doing the horse dance to the popular Korean hit song, “Oppa Gangnam Style“. 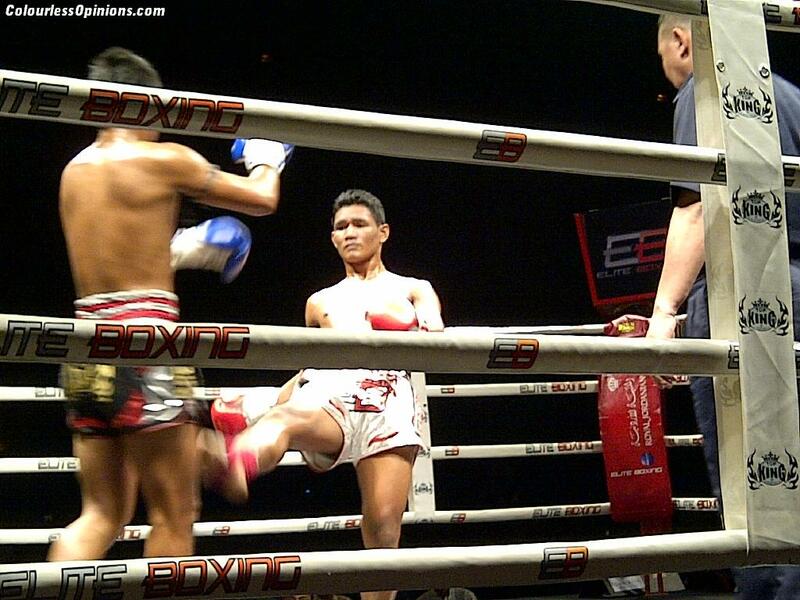 Kudin lost by technical knockout in the second round after sustaining a number of clean low chops to both thighs, which caused his legs to give up. Match-up number two was between Thailand’s Changpuek from Elite Fight Club versus China’s Liu Xiang Ming, which only lasted for two rounds as well. The Chinese was literally messed around by his opponent in the first round and never once invaded the centre of the ring. He got knocked out very early in the second round by a vicious blow to the head. 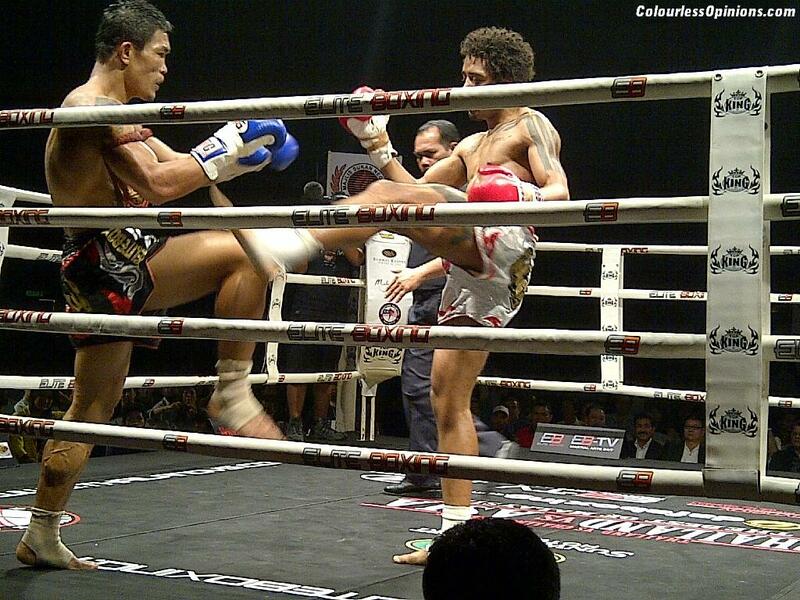 The Super Fight (a special match-up that’s non-relevant to the theme of the event) of night was between Thai veteran Jom Kitti and Brazillian Leo Monteiro, which also ended up with a win for Thailand. The match went to the judges scorecard with Jom being the obvious winner despite the significant reach disadvantage. Jom’s not a serious trainer but he’s definitely one of the most consistent fighters I had ever learnt from (he used to teach at MuayFit). 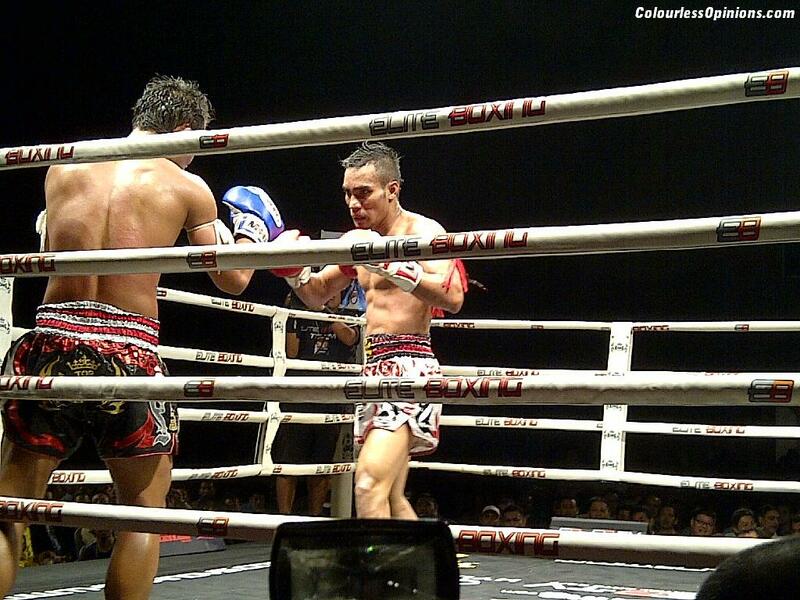 The Challenger Muay Thai 2011 champion, Madsua of Lamai Gym, was featured in the main event of the night against the semi-finalist he didn’t have to face, Mostafa Abdollahi from Iran. This was definitely the most technical fight of the night and was my favourite too. The Thai champion put on a show and proved to the world that he was indeed the most skillful and the rightful winner of The Challenger Muay Thai 2011. Even though he looked a little smaller compared to the Iranian, he managed to take him down several times in the fight. It was intense in all five of the rounds with both fighters going at each other aggressively but the decision left for the judges to make was once again a no-brainer. After the winner was announced, both fighters smiled and hugged each other like best friends. Special thanks to Elite Boxing and Nuffnang for the media invitation to the event. I think Jom's a very serious trainer! I used to be trained by him in Muay Thai Fitness Lab and he still is with his new students there! And he produced good fighters too! 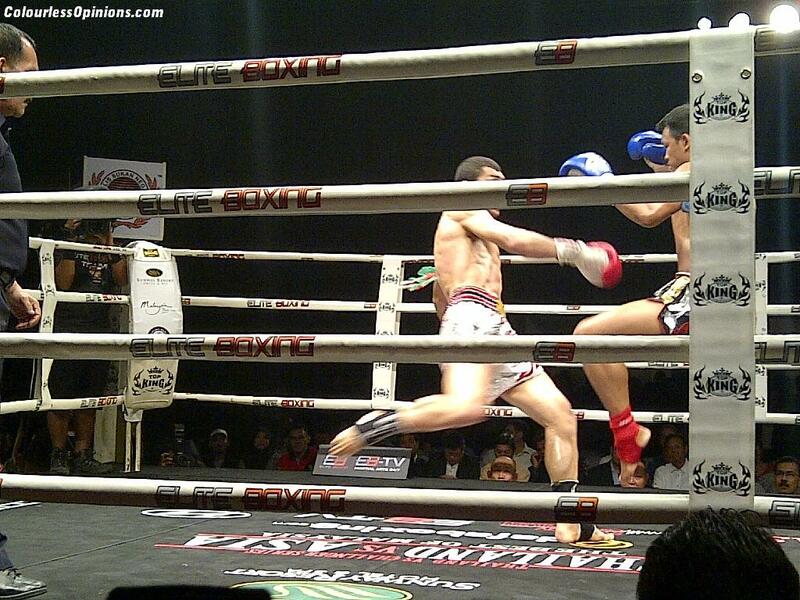 Check out Dr Fau from Selangor Muay Thai Charity Challenge Series 5 under Muay Thai Naga Api. She won the match under judge's decision, after 3 whole rounds. Jom also trained a lot of MMA fighters who fought in fights like OneFC, LegendFC, etc. All trained and supervised by Jom! Get your facts right. Thanks! But all in all good review on the other fights. Come and drop by at Muay Thai Fitness Lab, Plaza Damas or check out their facebook page. @missyblurkit Ah, if you have went, I'd at least have a blogger to talk to about the fights. I was the only fan there amongst the bloggers. @HouHouSek I think they'll be very scared of you and ask you to challenge you in the ring LOL. @Izr You've mistaken my words. I didn't say that he's a bad trainer. Just that he likes to joke around a lot & his classes back at MuayFit was more recreational than anything else.